Completing the triad of 80s cartoon and toy perfection, Voltron proudly stood alongside G.I. Joe and the Transformers as the best ways for a kid to relax on a Saturday morning after a long week of school. 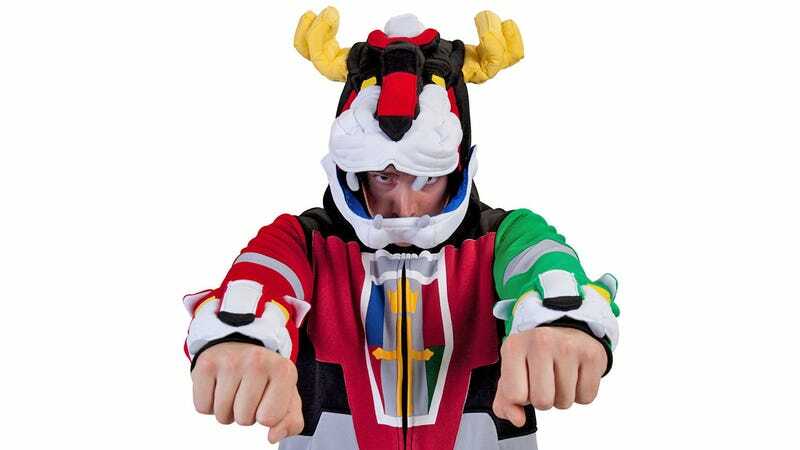 And since the holidays are just around the corner, if you know someone still holding a candle for a childhood accompanied by five transforming robot lions, this detailed Voltron hoodie is pretty much the best thing you could put under the tree.